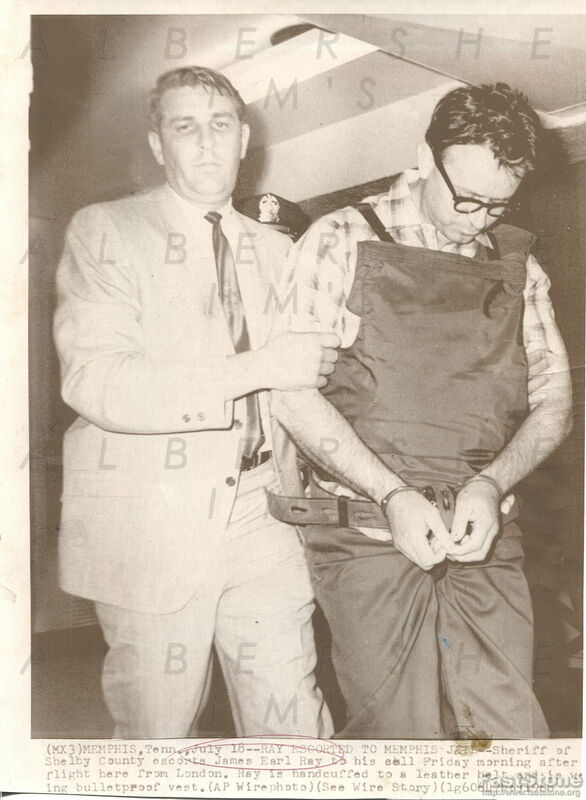 1968 7x9.5 AP wire photo of James Earl Ray the man who days earlier had just assassinated Civil Rights leader Martin Luther King Jr. as he was escorted to a Memphis jail. A dramatic and touching image in nice shape overall, this is one we have never seen before. Stamped on the back November 17, 1968 and then used a few more times through 1972. WoW!! !